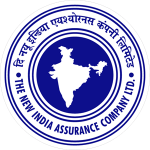 NIACL AO Mains Result 2019- The New India Assurance Company Ltd is going to publish the NIA AO Mains Result 2019-20 on their official website. All those who wish to check out the details of the download the PDF of the NIACL Merit List can do it from our page here. You can find the result details here along with the NIACL Administrative Officer Main Merit List 2019 and the New India Assurance AO Main Exam Cut off 2019. The GovtJobIndia.com team has updated all the information about these topics from the official website of the New India Assurance Company Limited which is www.newindia.co.in. The New India Assurance Company Ltd will now release the Result for Phase 2 of the selection process which is Mains examination. As the mains examination was conducted on the 3rd March 2019, candidates will soon see the result on the official site. The next stage of the recruitment selection procedure is the interview and candidates who get selected for the NIACL Admn Officer Main Exam, will be filtered to this tests now. Furthermore, all candidates who are looking for the recruitment details for the NIACL Recruitment for the posts of Administrative Officers (Generalists and Specialists) on our other page dedicated to it. Furthermore, you can check out the NIA admit card details and the previous year question papers on our site. 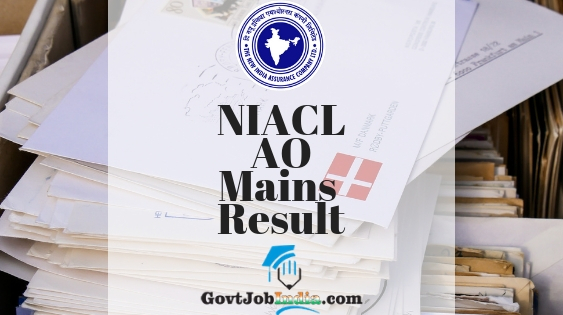 So now that you have gathered the summary of this article, make sure that you skim through the entire article and find the details of the NIACL Main Examination Results 2019. 2. Go to the NIACL result which will be there on the official webpage as an update. If you cannot find it on the home screen, search for it in the search panel. Alternatively, those who are unable to find the result page of the NIACL Examination, click on the link given below and go to it directly from our portal. 3. The result login page will be on your screen. 4. Enter your registration details which includes your registration number and your date of birth. 5. Click on the submit button before you and you will find the result on your screen. 6. Download and save (CTRL+D) your New India Assurance Recruitment for Administrative Officer Result and Save in Pdf format. Please note that the NIACL Recruitment Cut off marks has not been published as of yet. Since the New India Assurance Mains cutoffs are not out yet, we have provided the previous year cut offs. This will give you a basic idea of how high the cut-offs will be, so they are called the expected cut offs for the year 2019. We will update this page as soon as the cut offs are released this year. You can count on GovtJobIndia.com for latest updates about the NIACL AO Mains Cut Off 2019. Number of vacancies available in the opening published. Average marks scored by those who appeared for the Mains exam. The NIACL Mains exam merit list will have the names of all those people who have secured their place in the recruitment process exam. If your name appears in it, then kudos. You have been shortlisted to the interview stage of the recruitment. The New India Assurance Company Ltd will publish the selected candidates list as soon as the main examination papers are checked and evaluated. We promise that we will be quick to bring you all the details of this recruitment. What next? What after the NIACL Mains Examination 2019? Since the second stage of the selection procedure is over, which was the mains examination, selected candidates will have to start preparing for the Interview after checking their NIA Main Exam Result. If your name appears in the merit list, then congratulations! Start preparing for the Interview phase of the recruitment now. Otherwise, if you got negative news in the NIACL Recruitment, then worry not! You can find many more suitable jobs for you. All you have to do is visit our home page @GovtJobIndia.com and we can surely give you more suggestions for the latest govt recruitment across the nation. We hope you got positive news from the NIACL Recruitment 2019. Did you find this article about the New India Assurance Mains Result and Cut off useful? Let us know that this article aided you by partaking this article with other contestants who might be looking for the same. In addtion, comment below about any difficulty you face while preparing for this NIACL Recruitment Interview or any other part of this vacancy. In conclusion, we would end this article by telling you to subscribe to our website @ GovtJobIndia.com and you will find suitable govt job opportunities very easily.